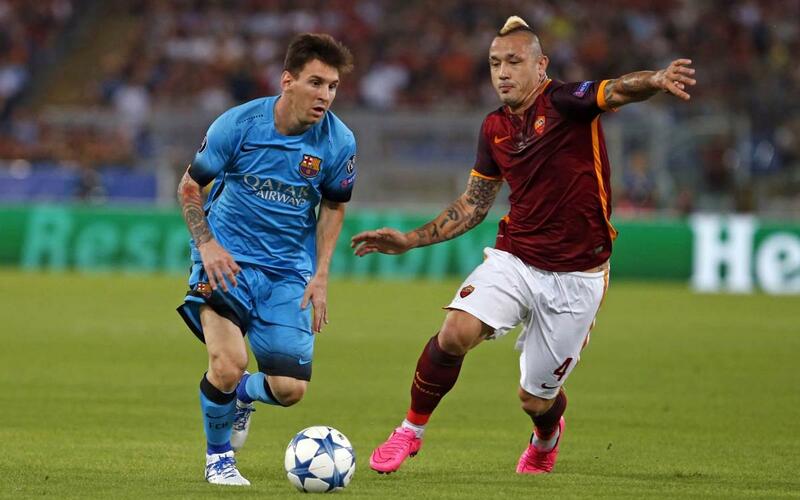 FC Barcelona and AS Roma have been drawn against each other in the quarter finals of the Champions League, but some of the players will not have to wait until April 4 to meet with rivals from their Italian opposition. The international fixtures taking place over the course of the coming week allow for a sneak preview of the eagerly awaited contest. Leo Messi will coincide with defender Fazio and forward Perotti when the trio turn out for Argentina. Likewise, Coutinho and Paulinho will be sharing a dressing room with Roma goalkeeper Alisson when Brazil play their international friendlies. Thomas Vermaelen has been called up for Belgium, as has Roma's Nainggolan, whilst Barça keeper Cillessen is in the Holland squad alongside Kevin Strootman. Whilst these players will be playing alongside one another, there are also Barça and Roma players squaring off for their respective countries. Luis Suárez's Uruguay play Schick's Czech Republic, and Pellegrini's Italy are up against Argentina this coming Monday. Portugal vs. Holland (Monday 26), Germany vs. Brazil and Spain vs. Argentina (Tuesday 27) will be the other contests featuring Barça and Roma stars.